From where I sit, I look out over a long downtown street in the heart of Providence. The far side of the street is flanked with parking meters and omni-present urban ginkgo trees. These parking meters are a lot like parking meters everywhere else: the displays on these meters blink happily away as the sun recharges the meter through a top-mounted solar panel, they accept credit cards, and the city has access to a trove of usage data on the back end of whatever program monitors the meters. I genuinely love- not like or enjoy or appreciate but actually love- these meters because they demonstrate the power of both disruptive innovation and the meteoric hockey-stick growth of connected devices in the world around us. I love the fact that someone (probably an employee of the company, IPS Group, that invented and patented the connected parking meter in 2005) sat down and decided that they needed to understand the parking meter more completely. This someone probably spent days upon days watching other drivers use parking meters and plotting out a user experience map before executing a full-fledged development of the underlying technology. Ultimately, the technology massively advanced one of the primary ways in which people interact with government services- the payment of fees and taxes- towards a reality where payment becomes more seamlessly integrated with daily life. No more digging for coins. What a simple premise! 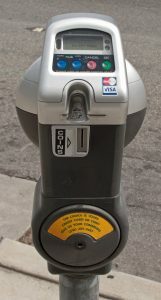 Data from the city’s public works department show that since the implementation of credit card parking payment began in 2010, net profits have nearly doubled from $4.7 million to $8.6 million in 2014…A city report found [that credit cards] accounted for nearly 75 percent of the meter revenue. 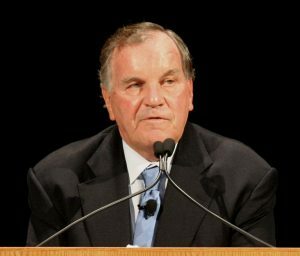 In what is now far more than a sour deal, former Chicago Mayor Richard Daley leased the entire parking meter system out to private investors in 2008 for a period of seventy five years at a price of $1.16 billion. The investment consortium promptly installed Internet connected meters, revenues skyrocketed to $134.2 million in 2018 alone, and the group is now scheduled to make their money back by 2021 with 62 years left on the lease. At best, Mayor Daley lacked the foresight to see what the Internet of Things would bring to his city and one of its core revenue streams. At worst, this decision borders on extreme negligence. In any case, this is a great example of what happens when massive entities fail to realize the importance of innovation while also failing to address prevalent market forces and development trends. According to Bain Consulting, $235 billion was spent in 2017 on all IoT markets combined with that number more than doubling to $520 billion in 2021. While this number is massive and very telling of the latent potential of IoT technologies, I believe that it actually underestimates total market value and growth. Bain’s analysis seems to largely capture data on devices that are directly connected to the Internet via their own dedicated IP address (smart fridges, connected lightbulbs like the Phillips Hue, smart electrical grid control systems, etc.) while not accounting for devices that are indirectly connected to the Internet via an intermediary like an app on a cell phone. Devices in the latter category are already widely available in the consumer and industrial markets. For example, the Tile Bluetooth device and its corresponding app allow for a user to see the last known location of a Tile from any device in the world via the Internet but the Tile device itself is only Bluetooth enabled. This system architecture is also found in the industrial sector in things like garment-tracking RFID tags and their registration infrastructure or the centralized repair and analysis sensors that truck mechanics plug into ODB2 ports. These devices are all indirectly IoT-relevant. All that stuff, the same stuff, used and discarded day after day. It’s the kind of montage that a movie director would use to show just how sad and soulless a character’s life was. And the idea of shopping buttons placed just within our reach conjures an uneasy image of our homes as giant Skinner boxes, and of us as rats pressing pleasure levers until we pass out from exhaustion. The Dash button, a WiFi connected button that adheres to any surface and orders one specific product at the push of the button, saw a 650% increase in use between July of 2015 and July of 2016. Meanwhile those brands that sell via Dash are seeing double digit increases in customer loyalty. Outside of CPG and consumer retail, major brands like Tesla are using HIRRM to offer over-the-air performance upgrades on their vehicles such as increased autonomous driving ability and increased battery capacity. As of publication, a new Model 3 can be spec’d with full autonomous driving capabilities from the factory for $5,000 or it can be enabled after the fact for $7,000 as an over-the-air upgrade; all the hardware to enable the upgrade is already in place stock from the factory. 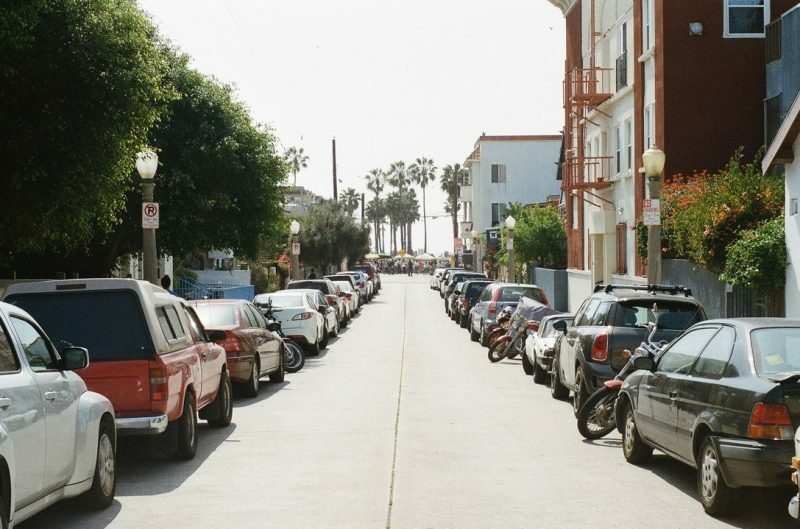 Progressive Insurance, one of the oldest and largest automotive and home insurance providers in the United States, built out a system to better track their automotive insurance subscribers’ driving habits. The system, called Snapshot, is a sensorized dongle that plugs into a car’s ODB2 port and tracks user driving behavior including instances of hard braking, overall miles driven, location and speed, and the time of day during which the insured vehicle is in operation. Progressive identified these metrics as being key indicators of overall driving safety and accordingly offers a discount (by claiming to be able to more accurately price risk) to those drivers that the system determines represent the least exposure. At least in part, this kills the age-old need for extrapolated risk analysis by actuarial table. The market has responded favorably to this innovation. Since the launch of the service in 2012, Progressive’s market capitalization has increased by 3.88x. One of Progressive’s leading publicly traded competitors, Allstate, increased 2.93x. Meanwhile the Dow Jones increased by 1.98x during the same period. Given that overall service offerings between competitors are largely similar, it seems likely that Snapshot- or at least the perception that Progressive is widely engaged with IoT innovation- contributed to Progressive’s rapid growth rate. General Electric is, as of this writing, going through a turbulent moment in its storied history as it sells of major portions of its corporate structure and begins to rethink the very nature of its core businesses. Nevertheless, it has made a sizeable investment in industrial IoT and this decision will likely carry through to whatever GE looks like when it finally comes up for air. The company is now vertically integrated in the industrial IoT space; it offers the sensorized componentry necessary for remote monitoring of industrial infrastructure, the platform (Predix APM) used to monitor the data coming in, and also a monitoring service (also part of Predix APM) that handles the management of all that data in real time using predictive analytics backed by actual people. It’s a lot like the Brinks Home Security model- sell the door alarm, sell the keypad that reads the door alarm data, and sell guarantee that someone from Brinks will call when the alarm is triggered. GE abandoned its go-it-alone cloud strategy a year ago. It now relies on AWS and expects to be using Azure by late October, four months behind schedule… As GE pivoted away from building data centers, its engineers focused on applications, which executives now saw as more useful for winning business and more profitable than the platform alone. MMID believes that IoT is the way forward for a lot of companies and that’s why we push our partners to execute digitally-integrated hardware development strategies whenever possible. As a consequence, our portfolio of IoT products now includes security gates for Boon Edam, a traffic control system for Dynniq that reduces cost on both unit and system levels, and a smart thermostat for Plugwise’s consumer products division. Regardless of implementation, all our IoT devices adhere to identical core goals: deliver efficiency gains, increase cost savings, and increase the ease of data collection and the quantity of data upon which our customers and partners build their business models and growth targets.